Are you one of those who played SIMS, only for the fact to build and furnish your dream house? Planner 5D it’s not a game, it’s a professional tool to do that, but you can use it as you please 😛 . It is easy to use and very fun! 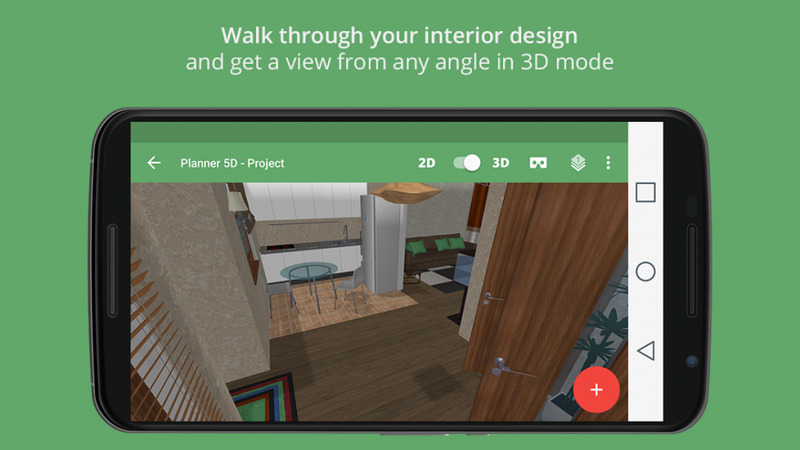 Planner 5D is a simple-to-use app that enables anyone to create beautiful and realistic interior and exterior designs in 2D and 3D modes. You can choose interior and exterior items from a catalog in order to plan and furnish your home or any other space the way you have always wanted, and you can see what everything looks like in reality using the Virtual Reality mode. You can also share it to your Chromecast. This free version contains 150+ items to decorate, furnish and build. You can unlock more items watching video ads. But if you want, you can get a full version of the app with more than 3000 items, no ads and many other features.